Outlander Season 2 Entertainment Weekly Exclusive Picture. . Wallpaper and background images in the serial tv outlander 2014 club tagged: photo outlander season 2 entertainment weekly claire jamie. 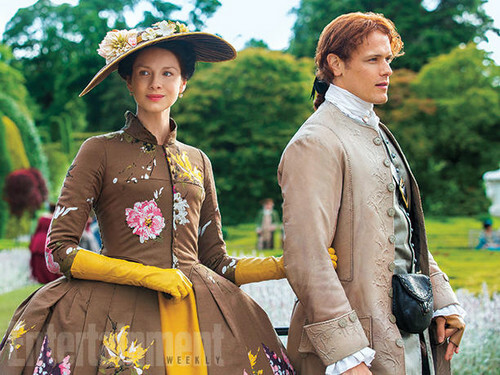 This serial tv outlander 2014 photo contains polonaise and polineis. There might also be pendayung, leghorn, panama, topi panama, pelaut, skimmer, topi jerami, pendayung leghorn, panama topi, fedora, merasa topi, homburg, stetson, trilby, fedora merasa topi homburg, kirtle, and rok.